A $250 fee ($225 for NC Aquarium Society Members) includes up to 12 children and 12 adults ($12 for each additional child and $10 for each additional adult, with a maximum of 20 children). 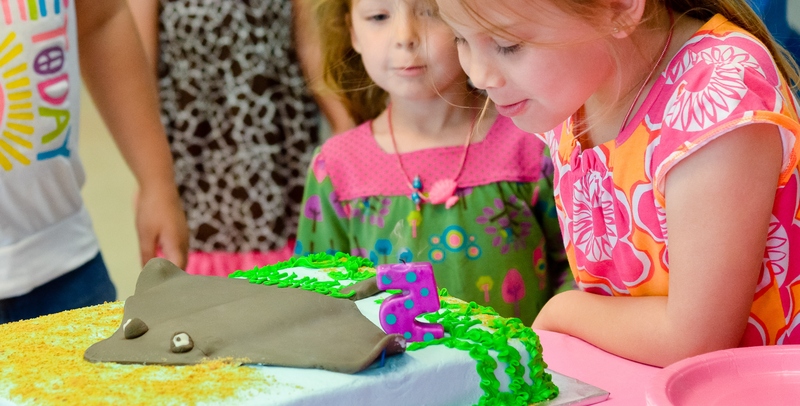 A non-refundable $100 deposit is required to schedule a birthday party. Party-goers also make a take-home craft and receive private use of classroom facilities for refreshments and gift exchange and a self-guided Aquarium tour. Looking for a one-of-a-kind experience for your group? Then have a slumber party here at the Aquarium! 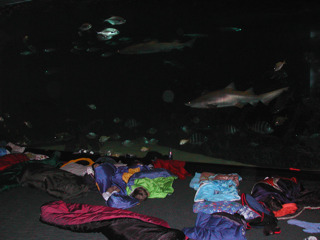 Watch sharks and fish swim while you camp out in front of our 285,000-gallon Graveyard of the Atlantic exhibit. This overnight experience is for private groups only, and participants must be ages 6 and older. A deposit of $100 is required upon making your reservation. Contact our Special Activities Coordinator or call (252) 475-2327 for more details about these programs and to register.